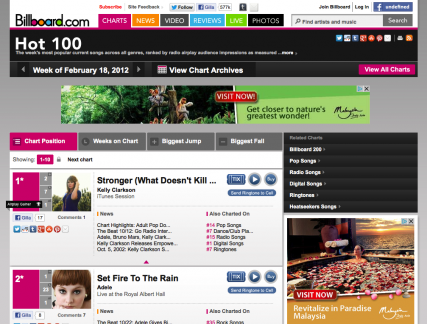 Kelly Clarkson on Wednesday returned to the top of the US singles charts. This time with “Stronger (What Doesn’t Kill You)”. “Stronger (What Doesn’t Kill You)” is written by Jörgen, David Gamson, Greg Kurstin and Ali Tamposi, the first songwriter signed to Jörgen’s music publishing company Perfect Storm Music Group, founded in the fall of 2010. On the evening of September 4, 2002, Kelly Clarkson became the first American Idol. The winning-song, “A Moment Like This”, written by Jörgen and John Reid, was released two weeks later. Rapidly climbing the charts, on October 5 Clarkson found herself at #1 on the Billboard Hot 100 list, breaking The Beatles’ 38-year old record for the biggest leap to pole position, from 52-1.